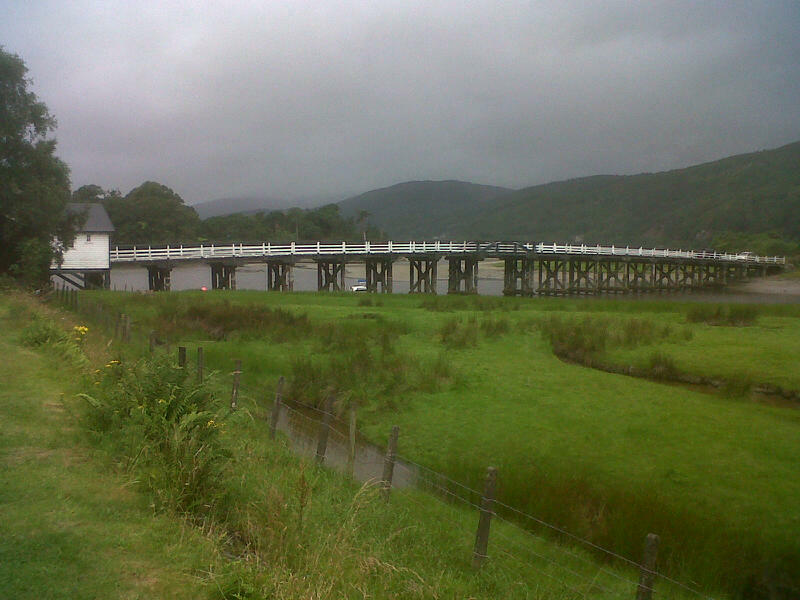 This beautiful wooden bridge over the Mawddach estuary was built in 1879 to replace a ferry. 60p each way, and well worth it to cut 6km off the alternative. 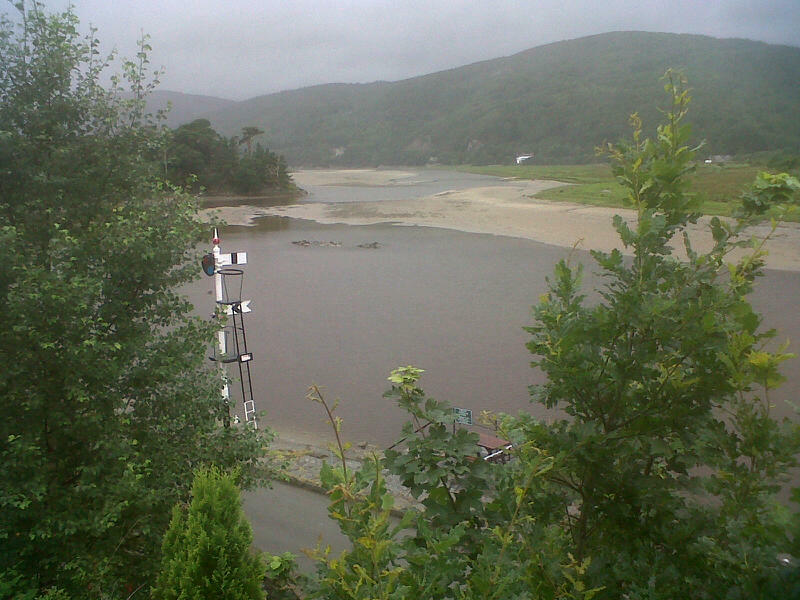 Fears that it might impede boats getting up the river to Dolgellau persuaded the designer to make it possible to insert a lifting section in the middle. But the fears proved unfounded and it was never needed. 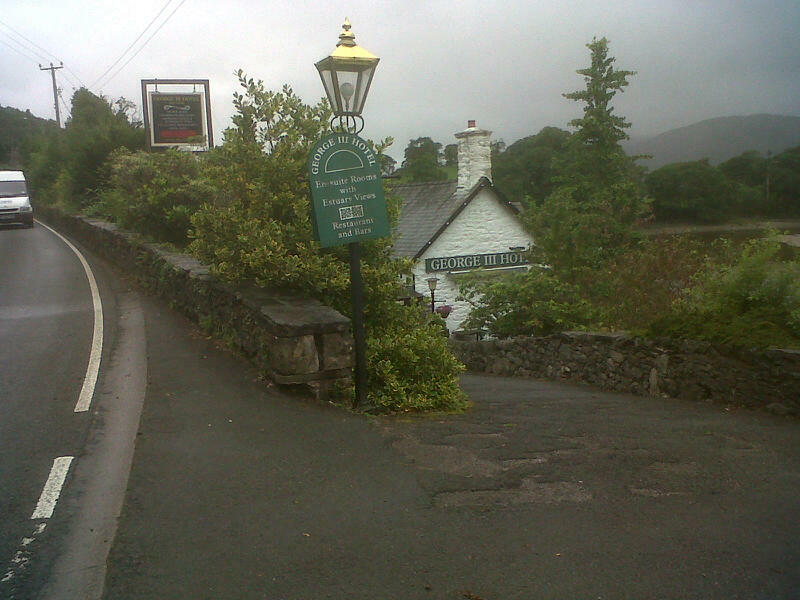 The George III hotel is just downstream. 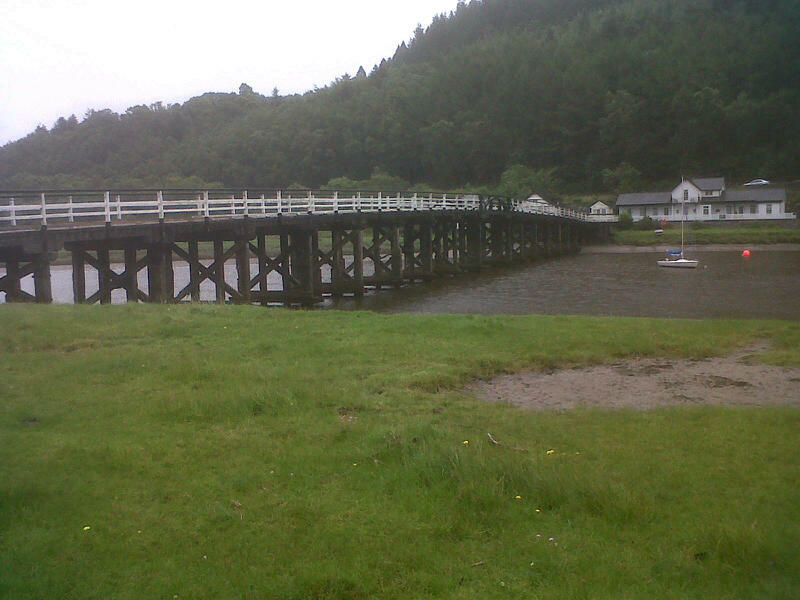 The bridge was originally built by the Penmaenpool Bridge Company. iGreens (click here) have a picture of the bridge rebuilding about ten or so years ago. I presume it is still privately owned, but I’d love to know more. 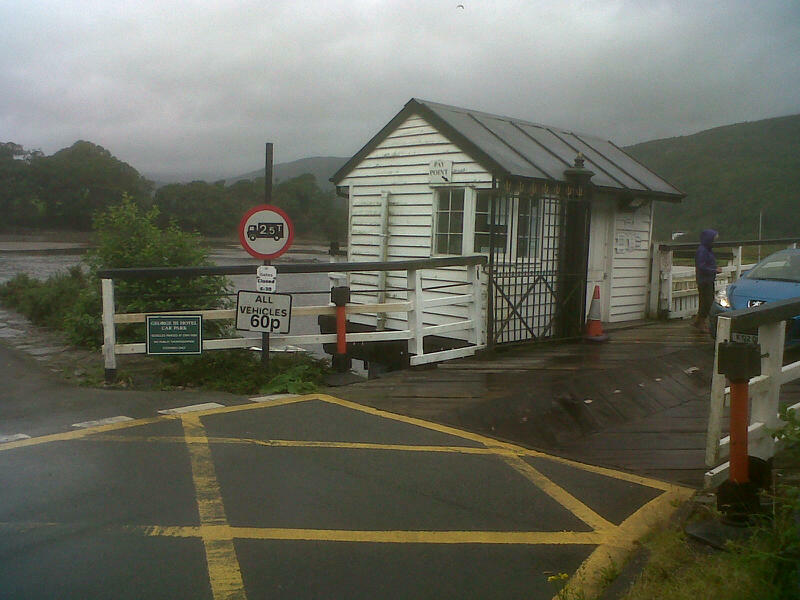 A company by the name Penmaenpool Toll Bridge Company Ltd was registered in 1997 as having a head office in Cheshire, but never filed accounts, and was dissolved in 2008. 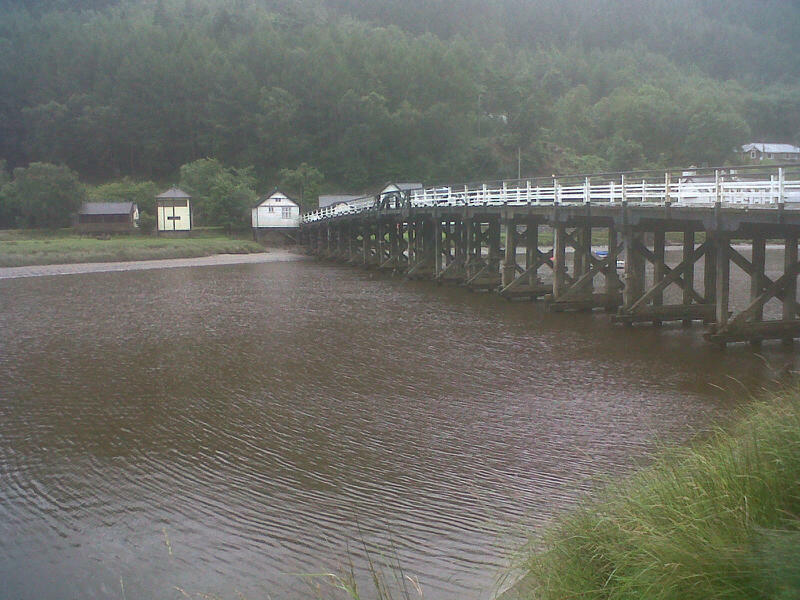 According to Wikipaedia the bridge is a Cadw registered building. 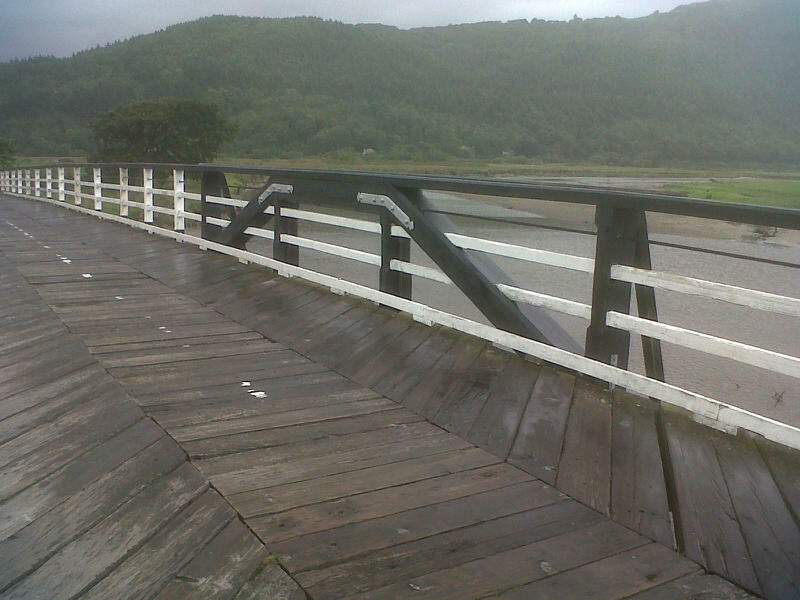 Cadw (click here) is the Welsh Government’s historic environment service, but a search of their website reveals no information on the bridge. 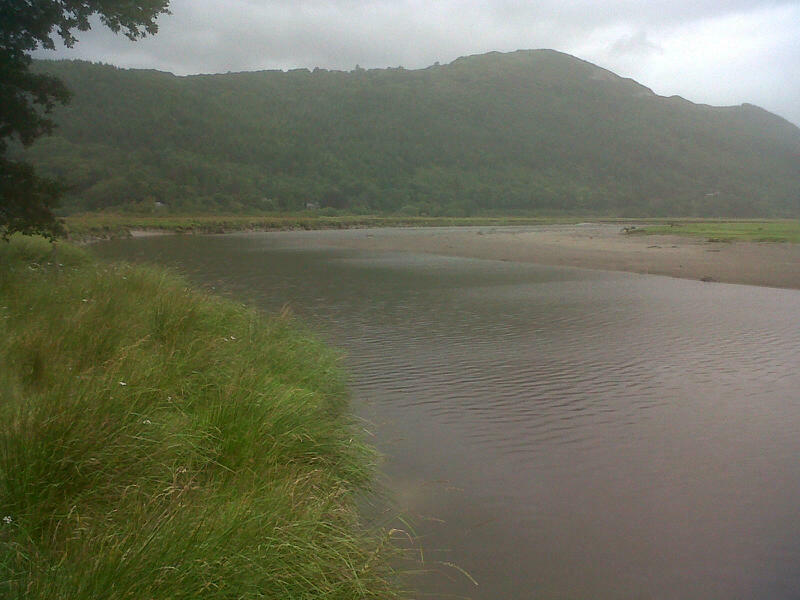 Looks fascinating if a little cloudy and with obscured views, but then that is Wales. Was the water very cold? Not at all. 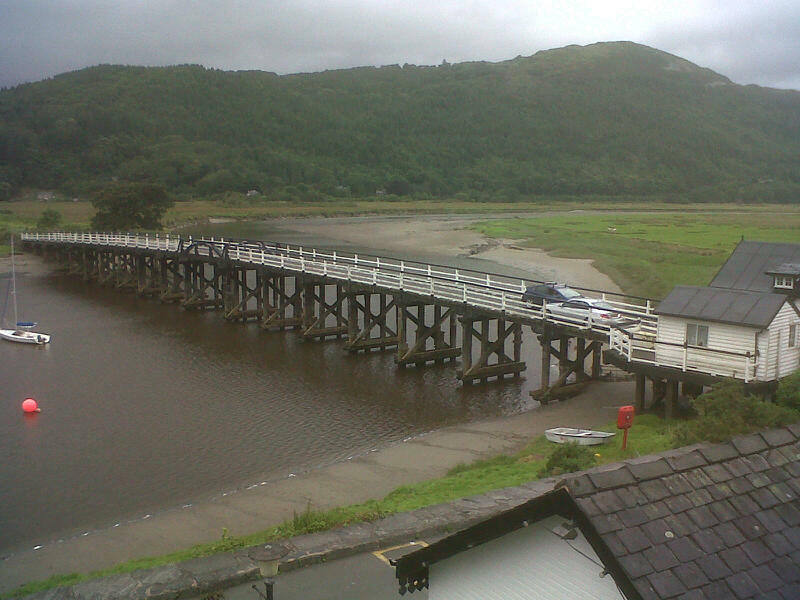 Sea temp at Barmouth 21deg C. Might’ve been a bit colder at the bridge but I didn’t test it!